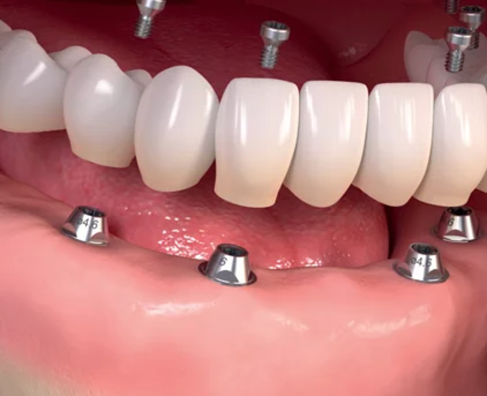 If you are missing all your teeth in one or both of your jaws, you have the option of implants instead of simply opting for dentures. Dental implants preserve bone structure and create an additional sense of stability and function that even premium dentures lack. You’ll also be able to speak and smile with confidence. Talk with Dr. Adam at Smile Care Dental to learn how implants can give you back a full set of teeth.